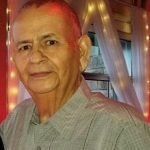 Raul “Rudy” Carrasco, 73, passed away on January 21, 2019 in Fort Worth. A visitation and rosary will be held from 6-8 p.m. on Wednesday, January 23 at Martin’s Funeral Home. Services will be held at Saint Frances Cabrini Catholic Church on Thursday, January 24 at 10:30 a.m.
Raul was born on November 7, 1945 in Midland Texas to Roman and Micaela Carrasco. He was a member of Saint Frances Cabrini Catholic Church in Granbury for many years. Raul was an educator for 30 years. During that time he served as a principal and counselor of Midland High School. The family will remember him as being a loving husband, father and grandfather. He enjoyed playing golf, traveling and most of all, being with his family. He is survived by his wife of 53 years, Aida Carrasco; daughters: Melinda Franco and Celina Rodriguez; grandchildren: Jessica, Julisa, Naira, Veronica, Jacob and Luke; two brothers; two sisters; and numerous nieces, nephews and cousins. He was preceded in death by his parents, Roman and Micaela Carrasco; four brothers and one sister. Services will be under the direction of Martin’s Funeral Home. Aida, Celina and Melinda, I am so sorry for your loss. I have many fond memories of Rudy when we were your next door neighbors. Kirk was heartbroken when we moved away from you. I will be praying that our Lord will enfold you in His loving arms to give you peace as you learn to live without your loved one. My deepest condolences to the family, Rudy was one of the best educators I was blessed to have known, he was always so considerate and caring, it is with great pride to have worked with him at MISD. Rudy was larger than life. I will always have fond memories of him. My sincere condolences to you, Aida, and to Celina and Melinda. Rudy was larger than life. Always making everyone laugh. My deepest condolences, Aida, Celina and Melinda! Freddie and I offer our deepest and sincerest condolences to all of Rudy’s precious family. Rudy and Aida invited us to come visit this place in 2010 when they had decided to move back to Granbury. We loved it and found our home here. Till we meet again, may God hold you in the palm of His hand. My deepest condolences to Aida and all of the Carrasco family. Rudy you were always one of my best friends from 1st grade thru college and beyond. I will always remember all the great times, the junky cars, and the situations we got in and out of. May you rest in peace. My condolences to the family of Mr. Raul Carrasco. May you find comfort in God's promise to wipe all tears from every eye ( Revelation 21:3,4) and in knowing Mr. Raul is in God's perfect and limitless memory. No words can convey my deepest condolences. Rudy was a wonderful husband, father. Grandfather. Brother and educator. My love and prayers to Aida (mom), my sisters Celina & Melinda, my Godsons Jacob & Luke, and my sweeties Jessica. Naira, Julissa and Veronica, and the entire Carrasco Family... May God give you comfort and peace.